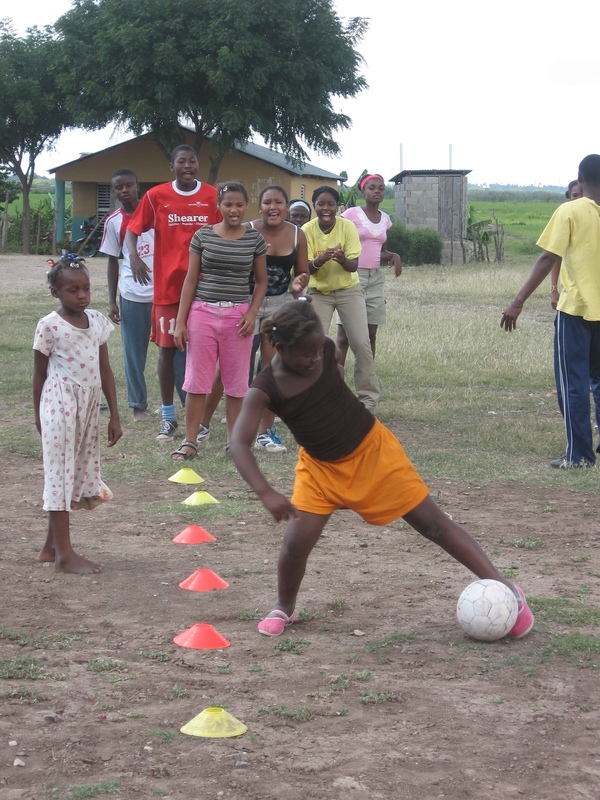 Founded at Batey Libertad, Futbol para la Vida (soccer for life) is an HIV/AIDS prevention education and youth leadership program in the Dominican Republic (DR) using sport, game-based activities, and peer mentoring to engage youth in the creation and practice of healthy life choices. A member of the international Grassroot Soccer network, Futbol para la Vida (FPV) provides bilingual Spanish/Haitian Kreyol camps and courses; training of trainers workshops for community-based peer educators, local non-governmental organization (NGO) staff, and public school and health programs; and support for youth camps, soccer tournaments, and other outreach opportunities. 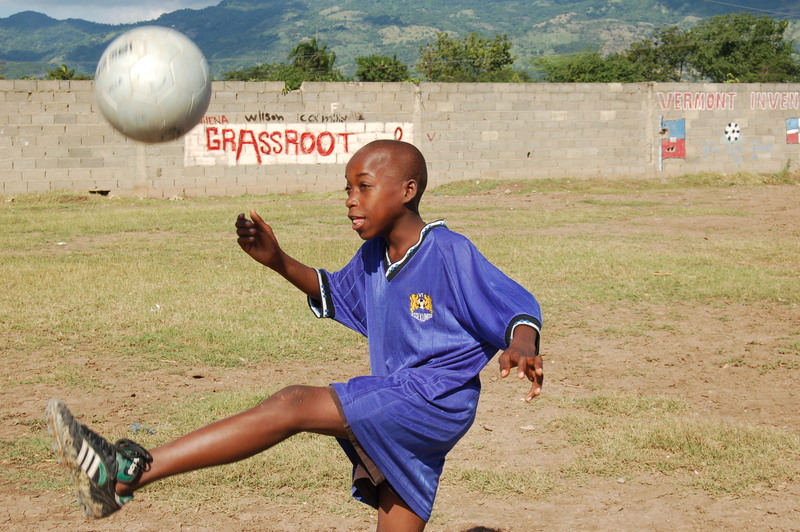 Core programs target at-risk youth populations in Haitian migrant communities, where a lack of investment in health care and education has contributed to some of the highest rates of HIV infection in the Caribbean and Latin America, and where the Haitian love and pride for soccer has been leveraged among youth and their families. The DR and Haiti together account for 85% of HIV cases in the Caribbean. Batey communities are particularly vulnerable to the epidemic due to a long history of marginalization and impoverishment, factors highlighted in a focal article on bateyes in Science magazine’s July 2006 cover story on HIV/AIDS in the Caribbean and Latin America (v. 313, pp. 473-75). FPV developed from a 2005 pilot project between the community of Batey Libertad, the University of Vermont, and Grassroot Soccer (GRS). 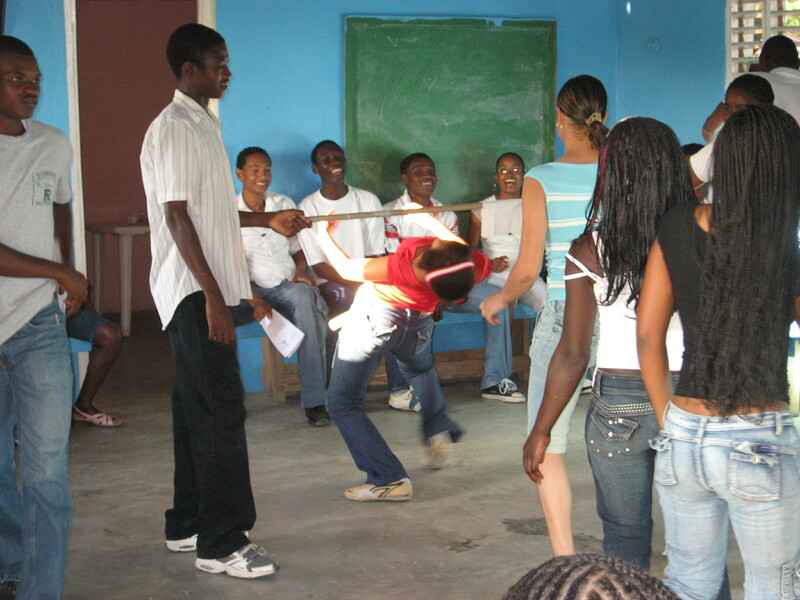 Demonstration of the GRS curriculum, identification of local role models, and subsequent training of peer educators was leveraged on the Batey Libertad Coalition, an existing collaboration between Vermont and Batey student athletes using soccer as a platform to develop youth leaders, mobilize community assets, and address racial tensions between Dominicans and Haitians [Listen to NPR coverage on GRS in the DR]. Batey Libertad remains the focal point of FPV activities in the Valverde province (one of the DR’s prominent agricultural regions), and is home to program management, trainings, and special events at the FPV training center constructed in 2006. A second core program was developed in the province of Puerto Plata in early 2007 to focus on sugar cane bateyes and migrant communities that have developed around the tourism industry of the north coast. Here the communities of Saman and Batey Caraballo have been apart of a baseline study of HIV/AIDS knowledge and attitudes amongst youth, conducted with pre- and post-program participant and family interviews. 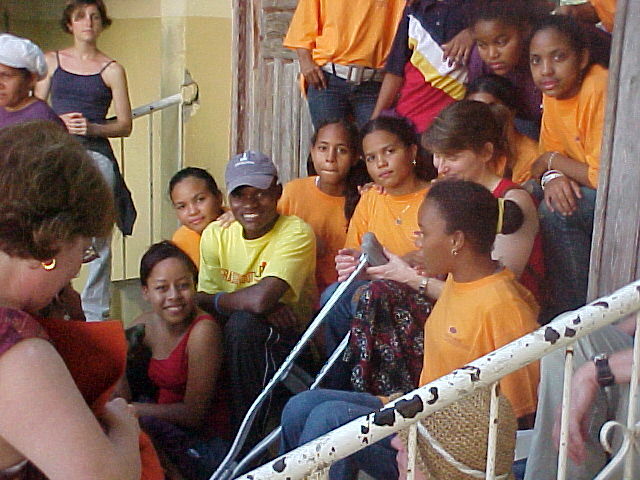 A third focal program started in the fall of 2007 in the city of Santiago (the DR’s second largest city). Partnering with NGOs and a university in Santiago will add urban slums as a third type of community where migrant workers and their families are concentrated. The activities-based curriculum engages youth, models healthy life choices, and provides a fun and safe environment for youth to obtain accurate information, learn prevention strategies, and discuss AIDS stigma, risky behaviors, and other sensitive topics with peers and role models. Each activity is designed as an ice-breaker that leads to discussion amongst peers. These core programs are run with groups of 15 children in age brackets of 10-14 year olds and 15 and over. A typical course is run over a series of 5 to 6 meetings totaling 15 hours, organized locally and coordinated initially by peer educators from neighboring communities. As new role models are identified and trained, programs are turned over to local peer educators. Each course is followed by a graduation planned by the children and including performances of dramas, demonstration of FPV activities, and presentation of certificates by parents and community leaders. Soccer games are often included as a vehicle to reach beyond the graduation audience, with FPV activity demonstrations held at halftime including athletes and fans alike, and with the opportunity to distribute information about HIV transmission, prevention strategies, testing and treatment options, and compassion for AIDS victims. 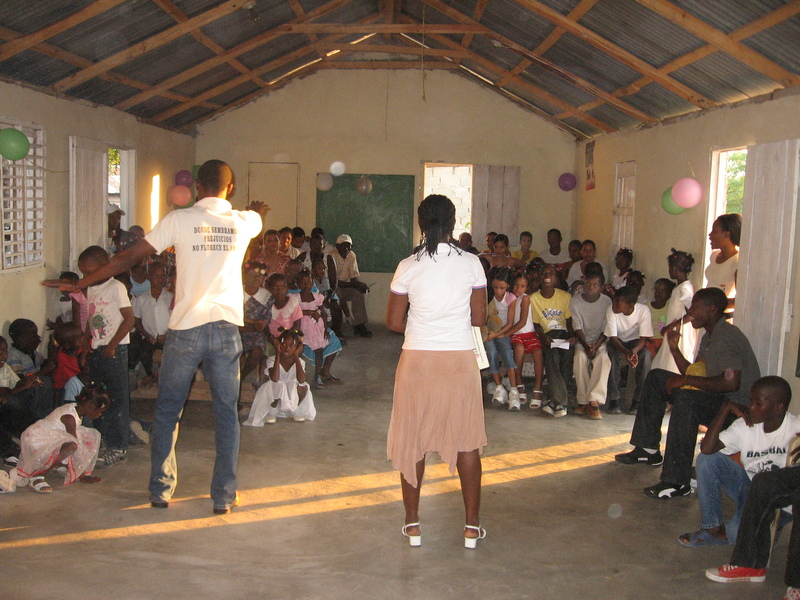 As the FPV program first developed in batey communities, the majority of current trainers can deliver bilingual programs in Spanish and Haitian Kreyol. This is critical to breaking the language barrier with recent immigrants, particularly among young girls who often work at home with their mothers and lack the opportunities to learn Spanish afforded to boys. Whenever possible, FPV classes are also designed with a mix of Dominican and Haitian children to address racial discrimination and build peer networks and solidarity amongst the poor. Follow-up activities to courses vary by location, but include soccer tournaments, youth groups, and “Olympiads” of knowledge and skill competitions between graduating FPV classes. The more experienced trainers of these core programs also conduct 5-day intensive “training of trainers” workshops to expand the network of community peer educators and train staff and volunteers in the growing network of NGOs using the Spanish translation of the GRS curriculum. Trainings include lessons on basic HIV/AIDS education, facilitation and evaluation of the FPV curriculum, peer education philosophy, development of role models, and program design, implementation, and evaluation. Examples of local partner organizations with FPV programs and trained staff include the Dominican Republic Education and Mentoring (DREAM) Project and Proyecto ADAMES. The DREAM Project has incorporated FPV programs into their annual summer camp and teacher training center, including pre- and post-evaluation and graduations. Proyecto ADAMES has developed a health promotion program for teens and pre-teens based on FPV training and the GRS curriculum as an extension to their work on reducing mother and infant mortality. Other NGOs in the network that have hosted FPV demonstrations include Peace Corps, One Resp, Batey Relief Alliance, Punta Cana Foundation, and World Vision. FPV programs also benefit from ongoing collaboration on program design and evaluation with the DR’s Presidential AIDS Council (COPRESIDA). The core FPV programs at Batey Libertad and Saman/Caraballo also support special events, including follow-up training activities, research on HIV/AIDS knowledge and attitudes, and special camps, soccer tournaments, or curriculum demonstrations. 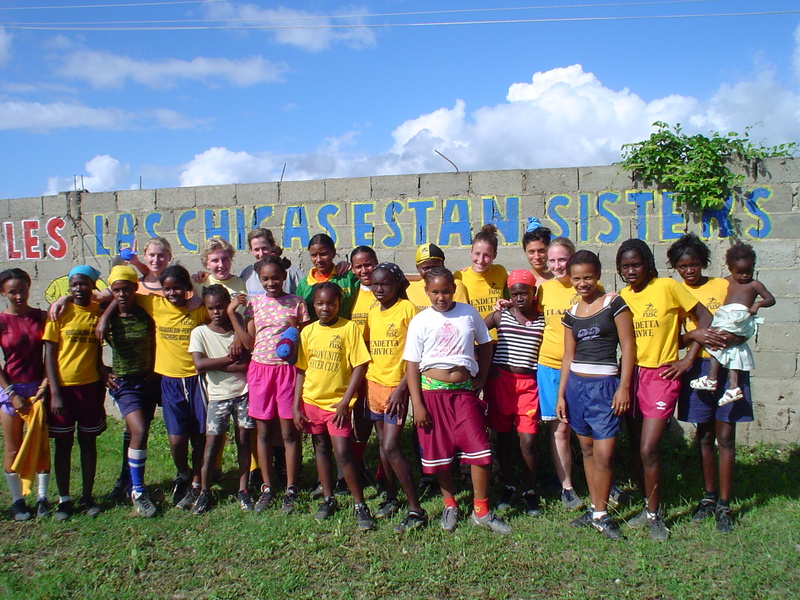 For example, FPV trainers supported a summer soccer camp for street kids in Puerto Plata during July 2007, a camp organized though a service-learning project of Virginia Tech. Faculty and student volunteers of the University of Vermont, through a fund established with the community of Batey Libertad, provide program oversight and fundraising for locally managed FPV programs. UVM offers annual service-learning courses to the DR to help initiate community projects, including the original pilot of the GRS curriculum, subsequent demos that led to new FPV programs, and construction of the FPV training center at Batey Libertad. In addition to these intensive project-based trips, FPV programs have benefited from a continuous stream of longer term volunteers through a teaching fellows program. Volunteers have included Vermont high school soccer players and college students from UVM, the Harvard School of Public Health, and Dartmouth College. This volunteer base also organizes fundraising events in the U.S., ranging from raffles and Haitian art sales to AIDS walks and barefoot soccer tournaments. Student volunteers and soccer moms and dads have also worked extensively with public school teams and private soccer clubs to collect used soccer equipment and raise money through juggle-a-thons and soccer tournaments. This growing network includes schools and clubs in Vermont, New York, New Hampshire, Maine, Massachusetts, and Illinois, as well as equipment donations coordinated through the U.S. Soccer Foundation Passback program. The next steps for FPV in the DR include expansion of courses and addition of trainers in communities near the three core programs of Batey Libertad, Saman/Caraballo, and Santiago. A fourth core will be added in early 2008 in the border city of Dajabon with extensions into its sister city of Ouanaminthe on the Haitian side. In the future, a Dajabon program could open up opportunities to train soccer players to run FPV programs in Haiti, as well as create opportunities for international soccer tournaments. A translation of the curriculum into Kreyol is underway (Foutbol pou Lavi). New NGOs requesting FPV training include World Vision (with programs in bateyes in the south) and One Resp (with soccer programs in Santiago). The Pontificia Universidad Católica Madre y Maestra (PUCMM) in Santiago is also interested in adding FPV training as part of their public health programs for undergraduates and medical students. There have also been preliminary discussions over offering annual trainings for Peace Corps volunteers who work throughout the DR. Finally, with the foundation of a Spanish language curriculum, baseline study of its effectiveness, and model for training of trainers, there are now opportunities to expand FPV into Latin America. A former Peace Corps volunteer, who completed a FPV training in the DR, is introducing the FPV curriculum in rural communities of Honduras. Through this contact, a current Peace Corps volunteer in El Salvador is utilizing the FPV curriculum. For more information about Futbol para la Vida, please contact Jon Erickson at the University of Vermont (jon.erickson@uvm.edu).